The moral to the story was that Golitsyn and Tanya are right. “It was [Tanya Levin] who provided proof [People in Glass Houses] that the head of [Hillsong – Brian Houston] had been a … mole.” If both acknowledge this has been established, the analogy falls short. Our question is, why is John Sandeman publicly endorsing a Brian Houston, the mole? 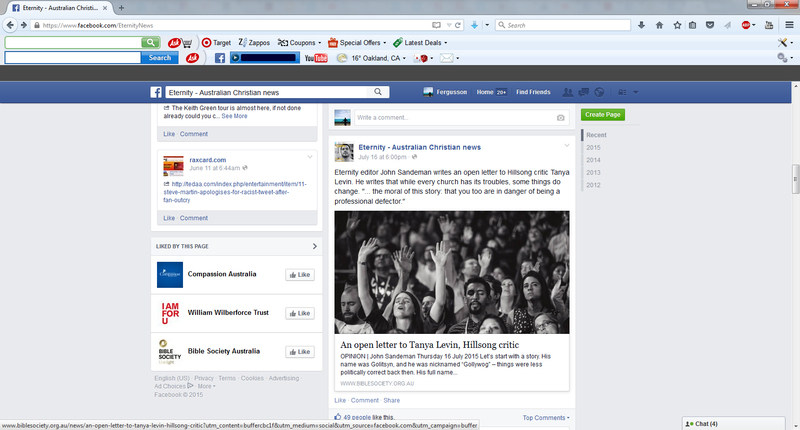 The BibleSociety accepted Tanya Levin’s evidence that Brian Houston is the mole. A mole is a mole. A fraud is a fraud. A false prophet is a false prophet. A disqualified Brian Houston is a disqualified Brian Houston. Below are two open letters; one by John Sandeman (from The Bible Society) directed to Tanya Levin, and the second is Tanya Levin’s response. While reading take note that Tanya Levin, the Atheist, points to the Bible and the Gospel of Jesus Christ as the ultimate authority for Christians while John Sandeman points to “Live Love Lead” and Brian Houston as the ultimate authority for Christians. Notice the problem here? And who is the one that sounds offended by the truth of the gospel? ‹ Resource: What is the Evangelical Industrial Complex (EIC)?